Albuquerque Has "Poquito de Todo"
Albuquerque has "poquito de todo" - a little of everything! We enjoy great mountain views, petroglyphs, hot air balloons, art galleries and many opportunities for cultural learning. There are plenty of things to do in New Mexico no matter where your interests lie. You might be surprised to learn that New Mexico is a great place to grow lavender, pecans, peanuts, grapes, pinto beans, and more. 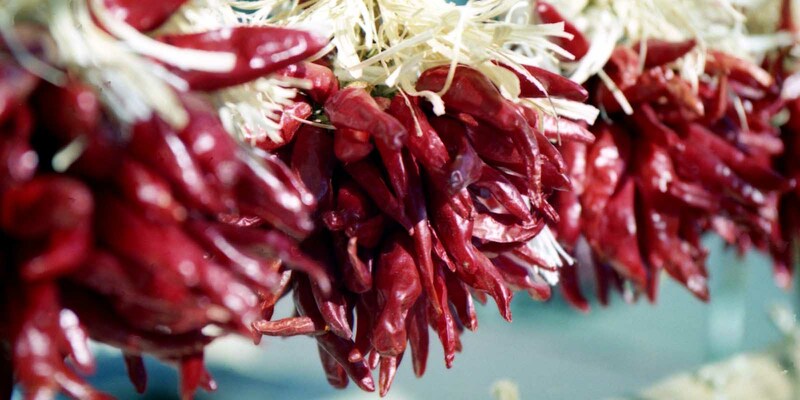 Of course, we are famous for producing the best chile peppers, a staple in New Mexican dishes. The MANA Conference will be held at the Hotel Albuquerque at Old Town, right next to colorful Old Town Plaza, a favorite spot to enjoy authentic cuisine and arts. Within walking distance of the hotel are several family oriented museums: Explora, The Museum of Natural History and the Albuquerque Museum. A short drive from the hotel will take you to the National Hispanic Cultural Center, the Indian Pueblo Cultural Center, and the Albuquerque Bio Park and Zoo. Albuquerque boasts the world's longest aerial tramway, which runs to the top of the Sandia Mountains. The breathtaking views will give you more reasons to fall in love with New Mexico. If you're brave & into biking, you can also take the chair lift up the mountain and bike down! Beautiful hiking trails are also abundant. You'll find lots of wineries and craft breweries in the area. There are even bus tours that will do the driving for you! The ABQ trolley will take you on a guided tour where you can see local landmarks, including Breaking Bad filming scenes. If you're looking for a wonderful day trip, the Jemez Mountains offer gorgeous views, hot springs, canyons, waterfalls, red earth, tall pines and Aspen. Magical Santa Fe, the oldest city in New Mexico and the oldest State Capital in the U.S, is less than an hour away and is home to the Georgia O'Keefe Museum. Just an hour from Santa Fe, in Abiquiu, visit Ghost Ranch. You can find more info about New Mexico here. For things to do in Albuquerque, visit here. The New Mexico Midwives are proud to host SHINE MANA#15 in Albuquerque, where we can share with you our history, culture and the amazing support that our community offers midwives. Please join us for #MANA15 in Albuquerque! Register by clicking the button below.